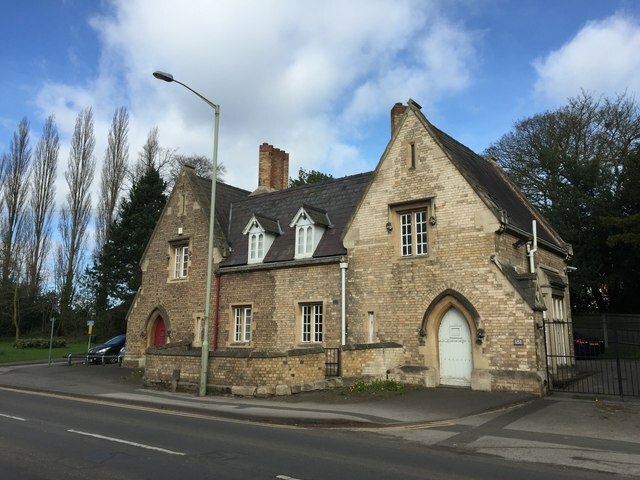 149-151 Weston Road is a former lodge of the Coton Hill Asylum, built in the 1850s as a private asylum for the insane. All but the lodges and the chapel were demolished in 1976 and the new Stafford District General Hospital was built on the site. This lodge is now occupied by Age UK Stafford & District. The chapel is now the hospital's library: see Link and Link . © Copyright Jonathan Hutchins and licensed for reuse under this Creative Commons Licence.